Casa Cupula, Puerto Vallarta's leading luxury boutique hotel for gay men, lesbians and friends of the community, is merging with My Own Concierge, the leading provider of concierge services to gay and lesbian travelers to North America's favorite winter beach destination. Both businesses will be represented online by Go Gay! Puerto Vallarta, the largest social media presence for LGBT travelers to Puerto Vallarta. Now celebrating its tenth anniversary, Casa Cupula will offer its guests tours and activities provided by My Own Concierge. My Own Concierge, founded in 2010, will offer its concierge clients Food & Beverage and Catering services by Taste restaurant@casacupula, which was named the Best New Restaurant in Puerto Vallarta in 2011*. My Own Concierge will also sell memberships to Pump gym@casacupula and day passes for Casa Cupula's new luxury pool cabanas. Both businesses are collaborating to create new tour and activities for LGBT travelers. "Working together, we can pool our resources to reach even more of the gay community in the US, Mexico and Canada and provide world-class services that will surprise and delight them" said Logan Miller, co-founder of My Own Concierge. "Many people only know Puerto Vallarta for the beach and great nightlife. 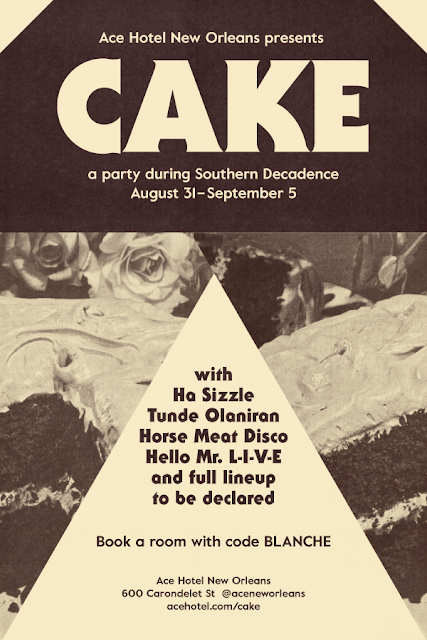 But there's so much more to see and do, and we've only begun to scratch the surface of what we can offer." Activities include the Go Gay! Jungle Zipline Adventure, where guests zip over the lush tropical foliage and mountains. A special guided tour of Puerto Vallarta's Botanical Gardens, with thousands of species of tropical plants on over 20 acres of pristine mountain territory, includes a three course lunch and luxury transportation (not to mention a beautiful floral souvenir). The luxury Ada Sailboat cruises Banderas Bay every Saturday providing gourmet delicacies with incredible views of Puerto Vallarta, the surrounding area and a collection of marine life including whales and dolphins. A special Chef's Table at Taste restaurant@casacupula is offered for gourmets, featuring a private Chef's menu. Horseback riding in the jungle and ecological tours of Vallarta are but a few more offerings. Casa Cupula was named one of Mexico's Trendiest hotels in 2012 by Trip Advisor, where Casa Cupula consistently ranks among the ten best hotels in all of Puerto Vallarta. This year Casa Cupula received a major facelift of the main pool area, with new décor and a new pool bar, water feature, sound system and lighting. New luxury pool cabanas will be available to guests of the hotel and by day pass to visitors, including a three course lunch and canapés from Taste, with champagne, cold scented cloths, fluffy towels and ceiling fan. In the evening, Taste restaurant@casacupula will offer gourmet private dining poolside by torchlight. Casa Cupula's new Online Concierge, is also being introduced this month so activities can be planned in advance before arrival from the comfort of home. Guests can create a private folio, adding activities by day, along with special items like a personalized cake and champagne with chocolate covered strawberries to celebrate a birthday, or a private dinner served under the stars for a romantic anniversary. Visitors can create a "Travel Blueprint" to architect their entire trip from touchdown to takeoff including noting personal preferences for their unique style of travel. All these services can also be reserved or booked online, by email at concierge@casacupula.com or by calling 1-866-352-2511 from the US or Canada. No "new kid on the block", Puerto Vallarta has been Gay North America's favorite winter beach destination for decades. The city boasts a broad array of gay bars and nightclubs, gay-owned restaurants, hotels, stores, services, and entertainment that put any other destination to shame. 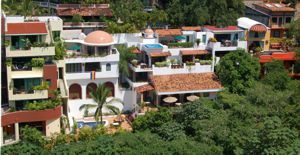 Over the last decade, thousands of gay and lesbian visitors from the US and Canada have bought property in Puerto Vallarta, including Fractional Ownership in the Private Residences at Casa Cupula, creating a strong resident community as the core for gay and lesbian tourism. "It's hard to believe ten years has gone by so quickly," stated Don Pickens, founder of Casa Cupula. "We started with just five rooms and breakfast service, and have grown to offer almost all the services of any mainstream resort. But the most gratifying thing is to see our many return guests, who enjoy the improvements we make every year. This partnership is the next logical step in expanding Casa Cupula's luxury platform with elevated products and services for all LGBT guests who frequent Puerto Vallarta. It's another reason PV is North America's premier LGBT travel destination." As one of the world's finest boutique resort hotels for gay men, lesbians and friends, Casa Cupula has built a reputation since 2002 for services and luxury and is consistently ranked among the 10 best hotels in Puerto Vallarta. Taste restaurant@casacupula is open to the public. milagro properties . 129 callejon de la lgualdad . puerto vallarta . méxico . 322-223-2484.